In 2008, The New York Times declared that Maurice Sendak's "originality and emotional honesty have changed the shape of children's literature." In 1964, the Brooklyn native won the Caldecott Medal for Where the Wild Things Are, with its benevolent monsters and the defiant boy Max who confronts them. 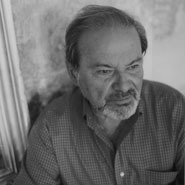 Both as author and illustrator, Sendak has brought to children (and their parents) such classics as In the Night Kitchen (1974) and The Sign on Rosie's Door (1960). In addition, he has designed the sets and costumes for several operas, ballets, and theater productions, and has produced animation for television.